Kit and Johnny caught the “lakeside” bug early – in 1987 – and they’ve held it tight ever since. So strong are their feelings about lakefront living on Lake Murray that they have made a concerted effort to “share the wealth.” Their solitary focus is helping people buy and sell homes along Lake Murray’s spectacular shoreline. They work hard to ensure that their clients will experience the same magic with their families that they are fortunate enough to live with. There’s just nothing like lakefront living!! As proud and active members of the Lake Murray community, the Oswalds also work hard to ensure that their service reflects the energy and special nature of the area they serve. “What we do is not about structures and contracts”, Kit says. “It’s about the people of the Lake Murray and the surrounding area and the dreams they have. That’s why we love what we do so much”. Time away from work usually finds Kit & Johnny boating, enjoying a casual dinner with family and friends, or – believe it or not – dancing up a storm! Both of Johnny’s parents and Kit’s mother were dance instructors. Capture the Spirit of Lake Murray! I was born and raised in Greenville, SC. Since then, I have called numerous places around the world home: Basel, Switzerland; Bradford, England; Chicago, Illinois; Locust Valley, New York; Houston, Texas; Hilton Head, SC. Since 1987 I have called Chapin, SC – the Capital of Lake Murray – home. In 1987 I joined Century 21 Bob Capes Realtors®. As your Realtor I will draw from my own moving experiences to make your move as stress-free as possible. In Nov of 2008 C21 and Coldwell Banker Merged to become the Largest Real Estate Company in SC, with a total of 750 agents. Customer Service Rep, Realtec, Inc.
Customs Broker, John P. Baston, Co. I was born and raised in Allendale, SC. After college I worked my family’s farm until 1984 when I went into development real estate with Marathon Oil on Hilton Head Island. In 1987 I moved to Chapin, SC to sell development real estate for Timberlake Plantation. 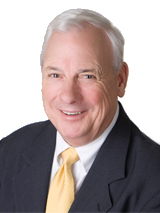 Then in 1990 I joined Century 21 Bob Capes Realtors®, where I continue to specialize in selling lake property. In Nov of 2008 C21 and Coldwell Banker Merged to become the Largest Real Estate Company in SC, with a total of 750 agents. Sales Associate, Hilton Head Co.
With almost 30 years experience combined in the real estate industry has seen them make a dramatic difference in the lives of literally hundreds of satisfied clients. If you are in the market to buy or sell a home at Lake Murray it makes sense to call Kit or Johnny at Coldwell Banker United REALTORS, 803-345-1094. You’ll be glad you did!